The author is professor of peace studies, dr hc mult, is founder of the TRANSCEND Network for Peace, Development and Environment and rector of the TRANSCEND Peace University-TPU. He has published 164 books on peace and related issues, of which 41 have been translated into 35 languages, for a total of 135 book translations, including ‘50 Years-100 Peace and Conflict Perspectives,’ published by the TRANSCEND University Press-TUP. ALICANTE, Spain, Aug 2 2016 (IPS) - The US mountain, so rich in human talent, labored and produced the two dwarfs for the huge job. A radical Republican strongman[i] and a conventional Democrat, disliked by 62% and 67%–bad for electing the president of a country that still puts some stamp on the world. Trump challenged, successfully, the Republican machine. The Democratic machine got a Hillary who challenged absolutely nothing. In both parties, in the name of unity, a veil was drawn over these basic US conflicts today, not between the parties, but within. Cruz did not give in, Sanders did–maybe bribed by some verbal rephrasing. So there they are. Trump has his base in the vast WASP, White Anglo-Saxon Protestant middle class middle-aged who used to rule the country [ii], promising to make America–meaning WASP–great again. Hillary has her base in that other Democratic Party, the Southern Democrats, in older people and the groups traditionally voting Democrat–Blacks, Hispanics, cultural minorities, women and much of labor– greatly aided by that wasp, Trump, stinging all of them. Younger people may abstain. So may many, even most, in the choice between a less war-and-market Republican and a market-and-war Democrat willing, on sale for more wars. Add the careers of these big Egos: one a businessman wrecking others, the other wrecking state secrets. “Stop him by all means” and “Lock her up” become mantras heard often. The high dislikes are well rooted. BUT, there is a difference: there is also much enthusiasm for Trump; none, it seems, for Hillary. The election campaign started long before the nominations were over and the foretaste is bad. One thing is the candidates fighting; another, the burning issues for the USA and the world. They may both be right when certifying that the other is unfit for the presidency. But that is still personal, ad hominem, cutting huge political cakes along personal lines. How about the issues facing the USA? Take the issue-complex “speculation-massive inequality-misery”. 1% vs 99%. Traditionally, causes for the Democrats. Sanders got at it; but his proposals were unclear or missing. Here some policy staples that the Democrats missed: separating investment and savings banking; holding Capital responsible for failures, not drawing upon State = tax-payers’ money; attacking inequality by illegalizing companies with the CEO:worker salary ratios way above, say, 10; lifting the bottom of US society with credits for the basic needs focused cooperatives. What a marvelous collection of rights and freedoms! Democrats should not forever be accepting the US non-ratification of ESC human rights. Trump, eager to make his middle class great, may actually do some ESC at the expense of UD to protect them from “trade” with loss of jobs from above and the threat of revolution, with violence from below that has already started, along racial lines, initiated by the White police. Take the issue-complex “foreign policy-war”. “An isolationist Trump could save American lives”[iii] (and many more non-American lives). But doing so to save money is not good enough; take the issues head on. “Clinton and Trump jostle for a position over North Korea”[iv] is more to the point: Trump is open to negotiate directly with Kim Jung-un, Hillary sticks to conventional isolation-sanctions-multilateralism. Trump might become the first US president to take North Korea on the word: “peace treaty-normalization-a nuclear-free Korean peninsula”. Hillary’s line leads nowhere. What is missing is an open debate on the two untouchables: US foreign policy and the US right and duty to war. The “less-than-Third World” infrastructure” has been mentioned. However, how about the suicide and homicide rates? Not only the easy gun access aspect, what it says about demoralized US society? How about the shortening of lives due to deteriorating living conditions? How about the climate and the environment, specifics, not generalities? How about the whole American dream or dreams becoming exactly that, a dream only, dreamt in the past? Trump has a new dream for his chosen people, greatness, Hillary’s dream is status quo since nothing has gone wrong. And to that we may add: how about US democracy? Does it exist? The details make the “Ha” an understatement. And that in a country so bent on lecturing to others on their lack of democracy. Forget it. Even so, Sanders won 22 states; had basic rules been respected, he would have made a majority of states even if Clinton had delegate majority. “The world is watching US elections,” CNN says with nationalistic pride. In disbelief and dismay, waiting for guidance beyond mutual name-calling. They may be dwarfs relative to a giant job. But nobody is born a president; they are made by the campaigns and on the job. So far, the impression is that Trump learns more than Clinton, testing out new ideas well before he can put them into practice. Because he has more to learn, having no experience? Yes, he has a lot to learn. But her “experience”, in killing? In not solving conflicts? Maybe she has a lot to unlearn. Any evidence she does that? None whatsoever. This gives an edge favoring Trump. We know what to expect from Hillary; not from Trump. On the two huge issue-complexes mentioned above, Hillary spells status quo, Trump not. Trump is gambling on his own–proven to be very high–persuasion capacity. Not quite hopeless. [i]. J. R. Hibbing and E.Theiss-Morse, in an article in Washington Post, make the point that “A Surprising amount of Americans dislike how messy democracy is. They like Trump.”, english@other-news.info, 17 May 2016. In their study 60 percent believed that “government would work better if it were run like a business”. [ii]. Bryce Covert, “America was great, again”, INYT 17 May 2016: “Donald Trump’s campaign promise is appealing because it promises–to make the country great again for the people who had it pretty great in the first place”. [iii]. Dough Bandow, Japan Times, 31-05-2016. [iv]. INYT, 20 May 2016. [v]. Now dismissed because of an e-mail scandal. [vi]. Ted Rall, “Clinton beating Sanders by hook and by crook”, Japan Times, 05 July 2016. 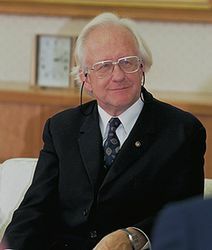 Johan Galtung’s article originally appeared on Transcend Media Service (TMS) on 25 July 2016: TMS: The US Nominations.